Shortly after his conversion to Christianity, C.S. Lewis sat down to write a Christian allegory in the style of John Bunyan’s famous work The Pilgrim’s Progress. 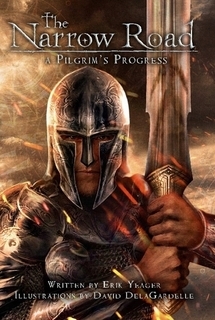 In this seminal work, which has been hailed as one of the most influential texts of Christian writing in the English language, pilgrim Christian travels from the dark lands to “the Celestial City.” Lewis aimed to write a similar story, stating that his new prose piece The Pilgrim’s Regress: an allegorical apology for Christianity, Reason, and Romanticism “is a kind of Bunyan up to date.” In fact, Lewis and his good friend J.R.R. Tolkien were influenced by Bunyan’s story. Writer Erik Yeager also wished to update Bunyan’s tale in his work The Narrow Road. Brimming with spiritual insight and evocative prose, The Narrow Road echoes many great aspects of Bunyan’s tale. For example, protagonist Christian sets off on an assignment with his sidekick Faithful (just as Frodo and Sam in The Lord of the Rings). Faithful is instructed by a holy “Book,” and Christian visits Apollyon’s city of “Vanity” (“Vanity Fair” in Bunyon’s version). Evil is represented by King Apollyon; those who seek out men to capture are called “Tracers.” Christian and Faithful, two new tracers, live on the outskirts of a town called Destruction (like Bunyan’s “City of Destruction”) and must travel through the malicious town of Mansoul, crouch in terror at Doubting Castle with the jailor Despair, and ultimately through a philosophic maze of questions about religion and faith. Christian and Faithful are faced time and again with new challenges and new perspectives about the King Yeshua (son of El Shaddai). Their faith, loyalty, and friendship are tested with each hardship, but they receive help along the way from folks such as the Evangelists and the Interpreter. Christian learns that his doubt, although explained through reason, still leaves him unsatisfied. He hears different viewpoints and struggles to find Truth in a fog of questions and controversy. Yeager writes with passion and purpose as he walks his characters through the darkest parts of their journey. In an excerpt below, we see how Christian and Faithful interpret the sayings of the Evangelicals against their own uncertainty and stubbornness. Beyond the swamp, the Black Wood was a mix of archaic beauty and heavy atmosphere. Just enough of the sky could be seen through the canopy above to keep their nerves steady, but only just. It appeared that all the trees had spent their centuries twisting themselves into strange wooden sculptures. The light and shadow played tricks on Christian’s eyes, showing him ‘faces’ or movement just enough at the periphery of his vision to make him doubt he had actually seen anything—except that this certainty occurred too frequently to be mere ghosts of his imagining. Behind him, Faithful had taken to using the final moment of daylight to read from the Book in search of anything that might help them in their travels, which was impressive as he still managed to navigate the forest without stumbling. “So this is what the Evangelist meant…” he mumbled. “You’ve heard of this before?” said Faithful, amazed. “I believe in the wrath of the past; failures and wayward acts against our fellow man, nature, and the powers of this world that build one upon one another like black monuments. I believe that as long as we don’t appease the hunger of Apollyon and his demon hordes, they will make good on their promise to feed on everyone we love. I’ve seen it before and I would feed those monsters countless strangers before watching them devour everyone I love. But that is no longer an option for us now…” Christian trailed off, allowing a measure of the accusing guilt he felt toward Faithful come through his voice. Perhaps one of the finest aspects of this story is that it is entertaining as well as instructional. Some legends of old laid heavy on the moral, leaving the story to suffer. Thus, it is rare to enjoy the story as much as the meaning intended. Yet, Yeager paints a vivid portrait of the people in Destruction, of the long and labyrinthine journey toward the Celestial City and El Shaddai. It can be read and enjoyed by anyone from age 5 to 95 and would make a great companion story to read alongside Bunyan’s text, Lewis’s The Pilgrim’s Regress, or any great tale of travel and discovery. The film version will be sure to delight a wide audience, using the Christian framework to unravel a magical and transcendent story. Yeager’s adaptation of The Pilgrim’s Progress is just as poignant, substantial, and enjoyable as Bunyan’s work. Those who enjoy the work of great masters such as C.S. Lewis and J.R.R. 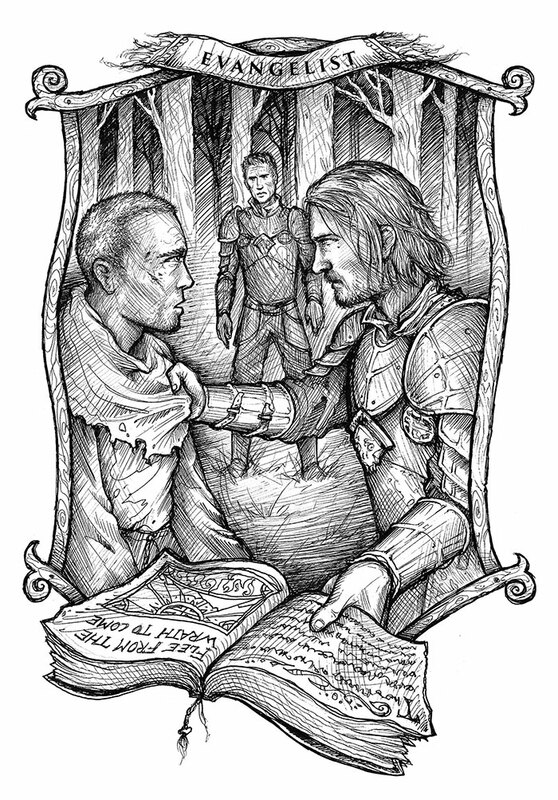 Tolkien will revel in this fine story which will feed your intellect and spirit as well as your imagination. The Narrow Road is an innovative spin on a classic tale, retold skillfully for a new generation.